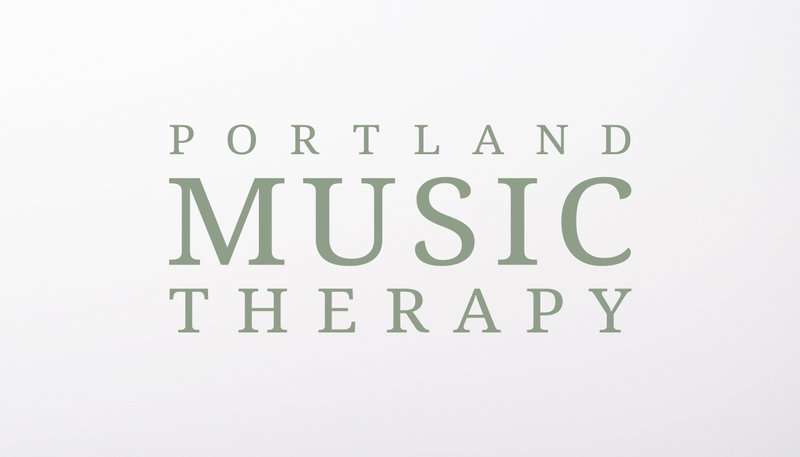 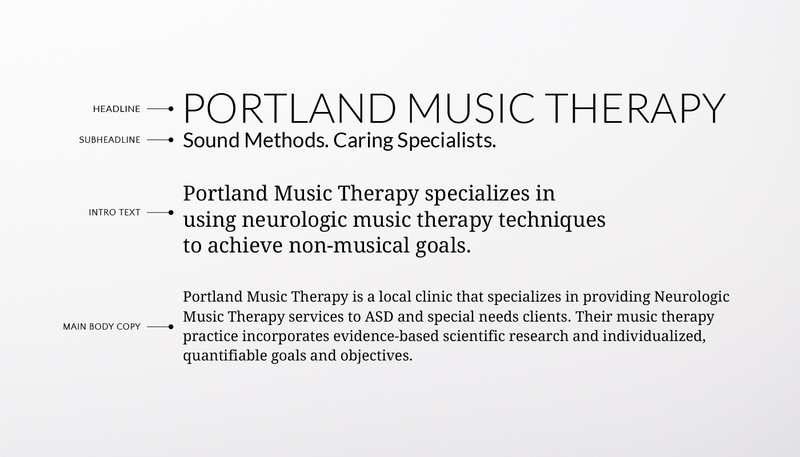 Portland Music Therapy is a local clinic that specializes in providing Neurologic Music Therapy services to ASD and special needs clients. 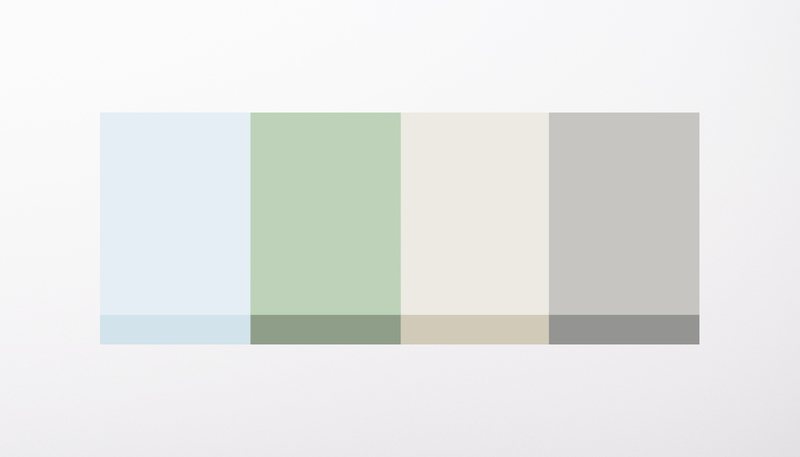 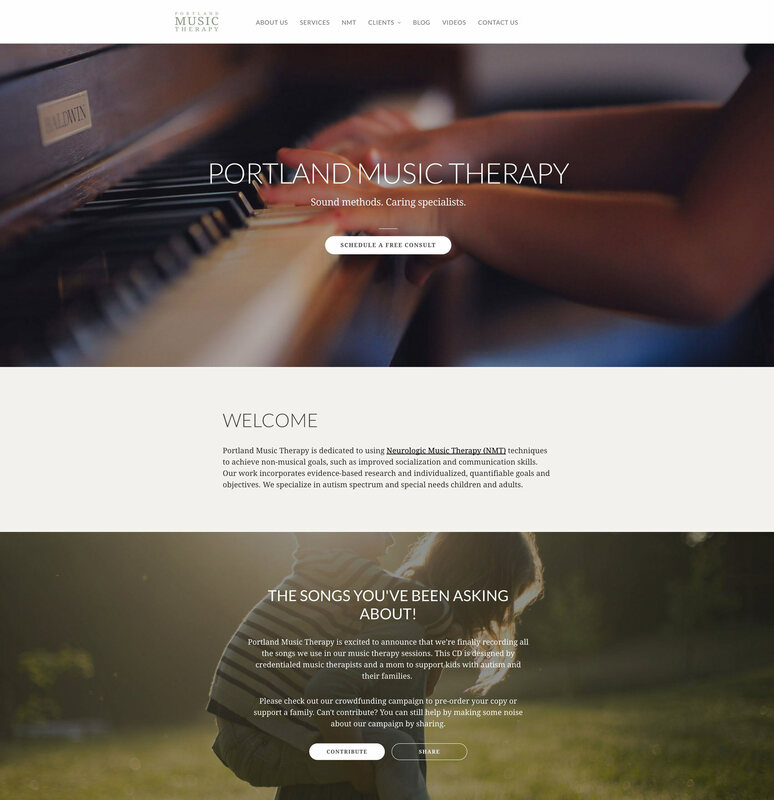 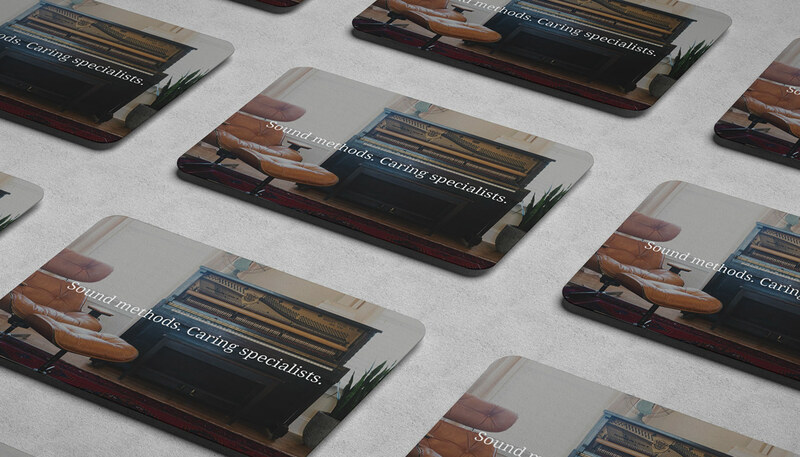 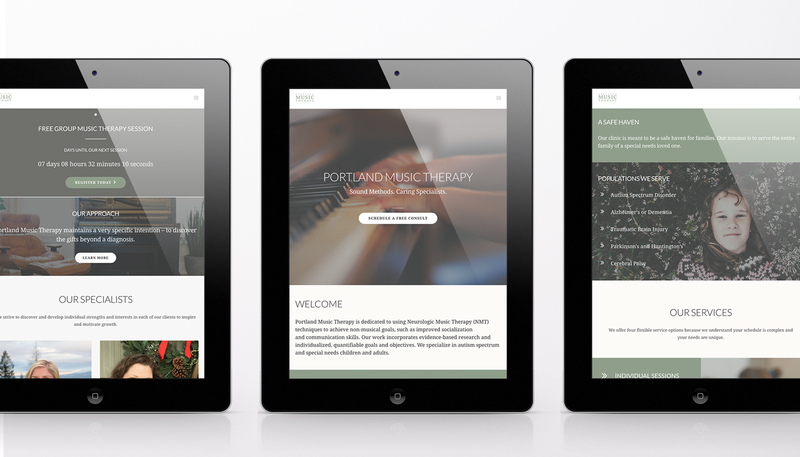 We worked with Portland Music Therapy to refresh their current brand and redesign their WordPress website. 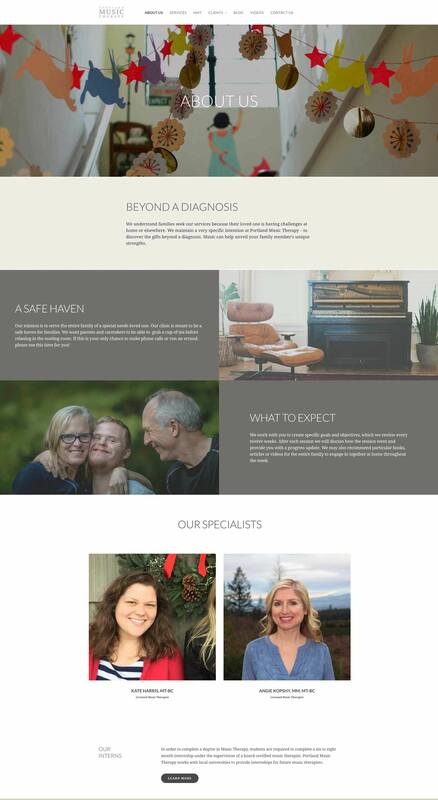 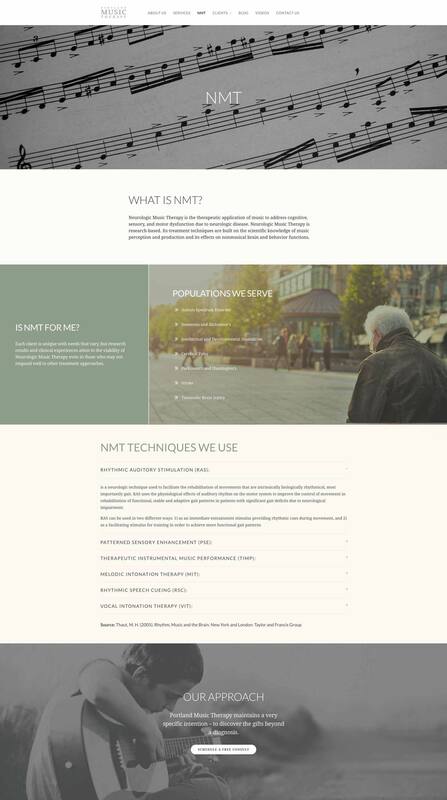 The project scope included a refreshed logo design, brand colors and typography, print and email newsletter banner designs, copyediting, website styling, blog archive migration, and WordPress theme customization.